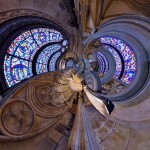 My pano of the Cantilupe Chantry in Lincoln Cathedral was made an Editor’s Pick at 360Cities.net. The sculpture featured in the chantry is by Aidan Hart. Technical details (for those who care about such things): NEX-7 + 8mm/2.8 Samyang Fisheye. Shot at f/5.6 ISO100, various shutter speeds using my battered by trusty Nodal Ninja 3 panohead. 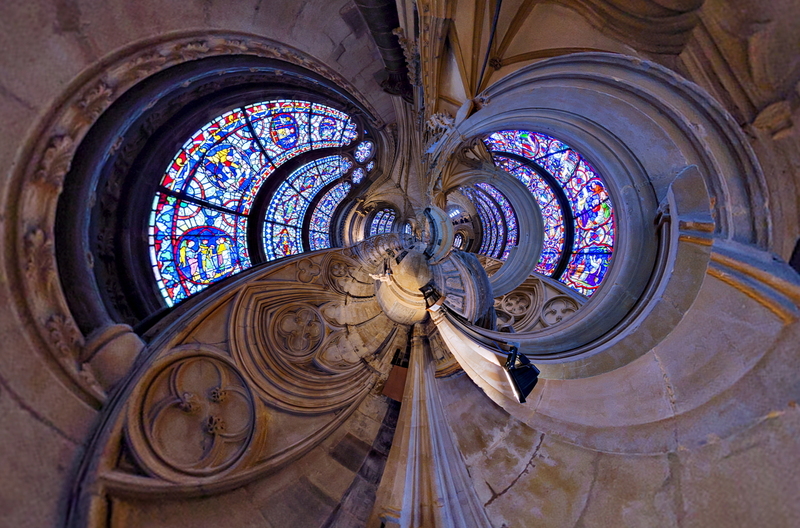 I took a standard set of exposures as well as some at -3EV to capture the stained glass. The raw files were imported into Lightroom and exported as TIFs for assembly in Hugin. After assembly, I produced three sets of complete panos each optimised for shadow, mid and highlight detail. I ran these through Enfuse to produce an exposure blended photo after which some minor tweaking was done to the brightness curve, colours, and sharpness.